An electronic book (or e-book) is a book publication made available in digital form, consisting of text, images, or both, readable on the flat-panel display of computers or other electronic devices. Although sometimes defined as "an electronic version of a printed book", some e-books exist without a printed equivalent. Commercially produced and sold e-books are usually intended to be read on dedicated e-reader devices. However, almost any sophisticated computer device that features a controllable viewing screen can also be used to read e-books, including desktop computers, laptops, tablets and smartphones. In the 2000s, there was a trend of print and e-book sales moving to the Internet, where readers buy traditional paper books and e-books on websites using e-commerce systems. With print books, readers are increasingly browsing through images of the covers of books on publisher or bookstore websites and selecting and ordering titles online; the paper books are then delivered to the reader by mail or other delivery service (e.g., FedEx). With e-books, users can browse through titles online, and then when they select and order titles, the e-book can be sent to them online or the user can download the e-book. At the start of 2012 in the U.S., more e-books were published online than were distributed in hardcover. The main reasons that people are buying e-books online are lower prices, increased comfort (as they can buy from home or on the go with mobile devices) and a larger selection of titles. With e-books, "[e]lectronic bookmarks make referencing easier, and e-book readers may allow the user to annotate pages." "Although fiction and non-fiction books come in e-book formats, technical material is especially suited for e-book delivery because it can be [electronically] searched" for keywords. In addition, for programming books, code examples can be copied. E-book reading is increasing in the U.S.; by 2014, 28% of adults had read an e-book, compared to 23% in 2013. This is increasing because by 2014, 50% of American adults had a dedicated device, either an e-reader or a tablet, compared to 30% owning such a device at the end of 2013. A woman reading a text on an e-reader. E-books are also referred to as "ebooks", "eBooks", "e-Books", "e-journals", "e-editions" or as "digital books". The devices that are designed specifically for reading e-books are called e-readers or "eReaders". The idea of an e-reader that would enable a reader to view books on a screen came to Bob Brown after watching his first "talkie" (movie with sound). In 1930, he wrote a book on this idea and titled it The Readies, playing off the idea of the "talkie". In his book, Brown says movies have outmaneuvered the book by creating the "talkies" and, as a result, reading should find a new medium: "A machine that will allow us to keep up with the vast volume of print available today and be optically pleasing". Although Brown came up with the idea intellectually in the 1930s, early commercial e-readers did not follow his model. Nevertheless, Brown in many ways predicted what e-readers would become and what they would mean to the medium of reading. In an article, Jennifer Schuessler writes, "The machine, Brown argued, would allow readers to adjust the type size, avoid paper cuts and save trees, all while hastening the day when words could be ‘recorded directly on the palpitating ether.’" He felt the e-reader should bring a completely new life to the medium of reading. Schuessler relates it to a DJ spinning bits of old songs to create a beat or an entirely new song as opposed to just a remix of a familiar song. In 1949, Ángela Ruiz Robles, a teacher from Galicia, Spain, patented in her country the first electronic book reader, la Enciclopedia Mecánica, or the Mechanical Encyclopedia. Her idea behind the device was to decrease the number of books that her pupils carried to the school. The first e-book may be the Index Thomisticus, a heavily annotated electronic index to the works of Thomas Aquinas, prepared by Roberto Busa beginning in 1949 and completed in the 1970s. 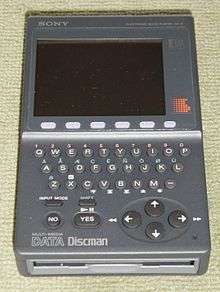 Although originally stored on a single computer, a distributable CD-ROM version appeared in 1989. However, this work is sometimes omitted; perhaps because the digitized text was a means to studying written texts and developing linguistic concordances, rather than as a published edition in its own right. In 2005, the Index was published online. FRESS was used for reading extensive primary texts online, as well as for annotation and online discussions in several courses, including English Poetry and Biochemistry. Brown faculty made extensive use of FRESS; for example the philosopher Roderick Chisholm used it to produce several of his books. Thus in the Preface to Person and Object (1979) he writes "The book would not have been completed without the epoch-making File Retrieval and Editing System..." Brown University's work in electronic book systems continued for many years, including US Navy funded projects for electronic repair-manuals; a large-scale distributed hypermedia system known as InterMedia; a spinoff company Electronic Book Technologies that built DynaText, the first SGML-based e-reader system; and the Scholarly Technology Group's extensive work on the Open eBook standard. As e-book formats emerged and proliferated, some garnered support from major software companies, such as Adobe with its PDF format that was introduced in 1993. Different e-readers followed different formats, most of them specializing in only one format, thereby fragmenting the e-book market even more. Due to the exclusiveness and limited readerships of e-books, the fractured market of independent publishers and specialty authors lacked consensus regarding a standard for packaging and selling e-books. However, in the late 1990s, a consortium formed to develop the Open eBook format as a way for authors and publishers to provide a single source-document which many book-reading software and hardware platforms could handle. Open eBook as defined required subsets of XHTML and CSS; a set of multimedia formats (others could be used, but there must also be a fallback in one of the required formats), and an XML schema for a "manifest", to list the components of a given e-book, identify a table of contents, cover art, and so on. This format led to the open format EPUB. Google Books has converted many public domain works to this open format. US Libraries began providing free e-books to the public in 1998 through their websites and associated services, although the e-books were primarily scholarly, technical or professional in nature, and could not be downloaded. In 2003, libraries began offering free downloadable popular fiction and non-fiction e-books to the public, launching an E-book lending model that worked much more successfully for public libraries. The number of library e-book distributors and lending models continued to increase over the next few years. From 2005 to 2008 libraries experienced 60% growth in e-book collections. In 2010, a Public Library Funding and Technology Access Study found that 66% of public libraries in the US were offering e-books, and a large movement in the library industry began seriously examining the issues related to lending e-books, acknowledging a tipping point of broad e-book usage. Although the demand for e-book services in libraries has grown in the 2000s (decade) and 2010s, difficulties keep libraries from providing some e-books to clients. Publishers will sell e-books to libraries, but they only give libraries a limited license to the title in most cases. This means the library does not own the electronic text but that they can circulate it for either a certain period of time or a certain amount of check outs, or both. When a library purchases a e-book license, the cost is at least three times what it would be for a personal consumer. E-book licenses are more expensive than paper-format editions because publishers are concernted that an e-book that is sold could theoretically be read and/or checked out by a huge number of users, which could adversely affect sales. The Internet Archive and Open Library offer over 6,000,000 fully accessible public domain e-books. Project Gutenberg has over 52,000 freely available public domain e-books. In Canada, The Sentimentalists won the prestigious national Giller Prize. Owing to the small scale of the novel's independent publisher, the book was initially not widely available in printed form, but the e-book edition became the top-selling title for Kobo devices in 2010. Until late 2013, use of an e-reader was not allowed on airplanes during takeoff and landing. In November 2013, the FAA allowed use of e-readers on airplanes at all times if it is in Airplane Mode, which means all radios turned off, and Europe followed this guidance the next month. In 2014, the New York Times predicted that by 2018 e-books will make up over 50% of total consumer publishing revenue in the United States and Great Britain. Bibliobytes, a website for obtaining digital books, both for free and for sale on the Internet, launches. NuroMedia released the first handheld e-reader, the Rocket eBook. Stephen King releases his novella Riding the Bullet exclusively online and it became the first mass-market e-book, selling 500,000 copies in 48 hours. Amazon buys Mobipocket, the creater of the mobi e-book file format and e-reader software. Amazon releases the Kindle e-reader with 6-inch E Ink screen in the US and it sells outs in 5.5 hours. Bookeen launches Cybook Gen3 in Europe, it could display e-books and play audiobooks. "Cybook specifications". Amazon released the Kindle for PC application in late 2009, making the Kindle Store library available outside its hardware. Google launches Google eBooks offering over 3 million titles, becoming the world's largest e-book store. In early 2014, Amazon launches Kindle Unlimited as an unlimited-access e-book and audiobook subscription service. In August, Kobo released the Aura One is the first e-reader with a 7.8-inch E Ink Carta HD display. Most e-book publishers do not warn their customers about the possible implications of the digital rights management tied to their products. Generally they claim that digital rights management is meant to prevent illegal copying of the e-book. However, in many cases it is also possible that digital rights management will result in the complete denial of access by the purchaser to the e-book. The e-books sold by most major publishers and electronic retailers, which are Amazon.com, Google, Barnes & Noble, Kobo Inc. and Apple Inc., are DRM-protected and tied to the publisher's e-reader software or hardware. The first major publisher to omit DRM was Tor Books, one of the largest publishers of science fiction and fantasy, in 2012. Smaller e-book publishers such as O'Reilly Media, Carina Press and Baen Books had already forgone DRM previously. Some e-books are produced simultaneously with the production of a printed format, as described in electronic publishing, though in many instances they may not be put on sale until later. Often, e-books are produced from pre-existing hard-copy books, generally by document scanning, sometimes with the use of robotic book scanners, having the technology to quickly scan books without damaging the original print edition. Scanning a book produces a set of image files, which may additionally be converted into text format by an OCR program. Occasionally, as in some projects, an e-book may be produced by re-entering the text from a keyboard. Sometimes only the electronic version of a book is produced by the publisher. It is possible to release an e-book chapter by chapter as each chapter is written. This is useful in fields such as information technology where topics can change quickly in the months that it takes to write a typical book. It is also possible to convert an electronic book to a printed book by print on demand. However these are exceptions as tradition dictates that a book be launched in the print format and later if the author wishes an electronic version is produced. The New York Times keeps a list of best-selling e-books, for both fiction and non-fiction. In the space that a comparably sized print book takes up, an e-reader can contain thousands of e-books, limited only by its memory capacity. Depending on the device, an e-book may be readable in low light or even total darkness. Many e-readers have a built-in light source, can enlarge or change fonts, use text-to-speech software to read the text aloud for visually impaired, elderly or dyslexic people or just for convenience. Additionally, e-readers allow readers to look up words or find more information about the topic immediately using an online dictionary. Amazon has reported that 85% of its readers look up a word while reading. Printed books use three times more raw materials and 78 times more water to produce when compared to e-books. While an e-reader costs more than most individual books, e-books usually have a lower cost than paper books. E-books may be printed for less than the price of traditional books using on-demand book printers. Moreover, numerous e-books are available online free of charge. For example, all books printed before 1923 are in the public domain. Depending on possible digital rights management, e-books (unlike physical books) can be backed up and recovered in the case of loss or damage to the device on which they are stored, and it may be possible to recover a new copy without incurring an additional cost from the distributor, as well as to synchronize the reading location, highlights and bookmarks across several devices. While a paper book is vulnerable to various threats, including theft, water damage and mold, e-books files may be corrupted, deleted or otherwise lost. As well, whereas the ownership of a paper book is fairly straightforward (albeit subject to restrictions on renting or copying the paper pages, depending on the book), the owner of an e-book's digital file may have access to the digital text withdrawn due to Digital Rights Management provisions, the provider's business failing, or other issues. In 2015, the Author Earnings Report estimates that Amazon holds a 74% market share of the e-books sold in the US. The Brazilian e-book market is only emerging. Brazilians are technology savvy, and that attitude is shared by the government. In 2013, around 2.5% of all trade titles sold were in digital format. This was a 400% growth over 2012, when only 0.5% of trade titles were digital. In 2014, the growth was slower, Brazil had 3.5% of its trade titles being sold as e-books. 1 2 eBook Revenues Top Hardcover - GalleyCat. Mediabistro.com (2012-06-15). Retrieved on 2013-08-28. ↑ Bhardwaj, Deepika (2015). "Do e-books really threaten the future of print?". newspaper. Retrieved May 6, 2016. 1 2 "e-book Definition from PC Magazine Encyclopedia". ↑ E-reading rises as device ownership jumps. Pew Research. Retrieved 24 July 2014. ↑ Brown, Bob, The Readies, Google Books, retrieved 2013-08-28 . 1 2 3 Schuessler, Jennifer (2010-04-11). "The Godfather of the E-Reader". The New York Times. ↑ Lallanilla, Marc. "Is This 1949 Device the World's First E-Reader?". Live Science. Retrieved 15 May 2014. ↑ "Stop the reader, Fr. Busa has died". L'Osservatore Romano. Retrieved 2011-08-11. 1 2 Priego, Ernesto (12 August 2011). "Father Roberto Busa: one academic's impact on HE and my career". The Guardian. London. Retrieved 30 September 2012. ↑ "Index Thomisticus", Corpus Thomisticum . 1 2 DeRose, Steven J; van Dam, Andries (1999). "Document Structure and Markup in the FRESS Hypertext System". Markup Languages. 1 (1): 7–32. doi:10.1162/109966299751940814. 1 2 Carmody, Steven; Gross, Walter; Nelson, Theodor H; Rice, David; van Dam, Andries (1969), "A Hypertext Editing System for the /360", in Faiman; Nievergelt, Pertinent Concepts in Computer Graphics: Proceedings of the Second 17 University of Illinois Conference on Computer Graphics, University of Illinois Press, pp. 291–330 . 1 2 van Dam, Andries; Rice, David E (1970), Computers and Publishing: Writing, Editing and Printing, Advances in Computers (10), Academic Press, pp. 145–74 . ↑ Reilly, Edwin D (Aug 30, 2003), Milestones in Computer Science and Information Technology, Greenwood, p. 85 . ↑ Hamm, Steve (December 14, 1998), "Bits & Bytes: Making E-Books Easier on the Eyes", Business Week, p. 134B . ↑ Yankelovich, Nicole; Meyrowitz, Norman; van Dam, Andries (October 1985), "Reading and Writing the Electronic Book", Computer, IEEE, 18 (10): 15–30, doi:10.1109/mc.1985.1662710 . ↑ Chisholm, Roderick M (16 August 2004). Person And Object: A Metaphysical Study. Psychology Press. pp. 11–. ISBN 978-0-415-29593-2. Retrieved 12 April 2012. ↑ Nicole Yankelovich; Norman K. Meyrowitz; Andries van Dam (1985). "Reading and Writing the Electronic Book". 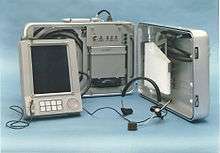 IEEE Computer Magazine. 18 (10): 15–30. doi:10.2200/S00215ED1V01Y200907ICR009. ↑ Flood, Alison (8 September 2011). "Michael Hart, inventor of the ebook, dies aged 64". The Guardian. London. Retrieved 8 September 2011. ↑ Grimes, William (8 September 2011). "Michael Hart, a Pioneer of E-Books, Dies at 64". The New York Times. Retrieved 8 September 2011. 1 2 3 Alison Flood (2011-09-08). "Michael Hart, inventor of the ebook, dies aged 64". London: Guardian. Retrieved 2011-10-24. ↑ Wisher, Robert A.; Kincaid, J. Peter (March 1989). "Personal Electronic Aid for Maintenance: Final Summary Report" (PDF). Defense Technical Information Center. ↑ The book and beyond: electronic publishing and the art of the book. Text of an exhibition held at the Victoria and Albert Museum, London, 1995. ↑ Where do these books come from? Google Support. Retrieved 8 January 2015. ↑ "Frequently asked questions regarding e-books and U.S. libraries". Transforming Libraries. American Library Association. 2014-10-03. Retrieved 2014-10-09. ↑ Doris Small. "E-books in libraries: some early experiences and reactions." Searcher 8.9 (2000): 63–5. ↑ Genco, Barbara. "It's been Geometric! Documenting the Growth and Acceptance of eBooks in America's Urban Public Libraries." IFLA Conference, July 2009. ↑ Saylor, Michael (2012). The Mobile Wave: How Mobile Intelligence Will Change Everything. Vanguard Press. p. 124. ISBN 1-59315-720-7. ↑ "66% of Public Libraries in US offering e-Books". Libraries.wright.edu. 2010-08-18. Retrieved 2011-10-24. ↑ "J.K. Rowling refuses e-books for Potter". USA Today. 2005-06-14. ↑ Ebooks and Interlibrary Loan. Linda Frederiksen, Joel Cummings, Lara Cummings and Diane Carroll. Journal of Interlibrary Loan, Document Delivery and Electronic Reserves. 21(31), 2011. p. 117-131. 1 2 "Library Ebook Vendors Assess the Road Ahead". The Digital Shift. ↑ Falcone, John (July 6, 2010). 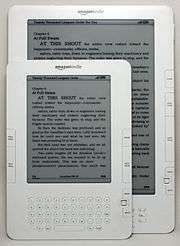 "Kindle vs. Nook vs. iPad: Which e-book reader should you buy?". CNet. Retrieved January 26, 2013. 1 2 "E-Books Top Hardcovers at Amazon". New York Times. 2010-07-19. Retrieved 2010-07-19. ↑ "Amazon Media Room: Press Releases". Phx.corporate-ir.net. Retrieved 2011-10-24. ↑ Lynn Neary; Don Gonyea (2010-07-27). "Conflict Widens In E-Books Publishing". NPR. Retrieved 2010-07-27. ↑ "Scarcity of Giller-winning 'Sentimentalists' a boon to eBook sales". Toronto Star, November 12, 2010. ↑ Matt Phillips (2009-05-07). "Kindle DX: Must You Turn it Off for Takeoff and Landing?". The Wall Street Journal. Retrieved 2011-07-28. ↑ "Cleared for take-off: Europe allows use of e-readers on planes from gate to gate". The Independent. ↑ In Europe, Slower Growth for e-Books. New York Times (2014-11-12). Retrieved on 2014-12-05. ↑ Neil Gaiman (1988). DON'T PANIC: The official Hitch-Hiker's Guide to the Galaxy companion. Titan Books. ISBN 1-85286-013-8. OCLC 24722438. ↑ "Pioneering the computational linguistics and the largest published work of all time". IBM. Retrieved 2011-08-11. ↑ Miller, Michael W. (1989). "A Brave New World: Streams of 1s and 0s". Wall Street Journal. ↑ Cohen, Michael (2013-12-19). "Scotched: Fair thoughts and happy hours did not attend upon an early enhanced-book adaptation of Macbeth". The Magazine. Seattle, WA: Aperiodical LLC (32). Retrieved 2015-06-07. ↑ "Foto Franco, l'uomo che inventò l'e-book "Ma nel 1993 nessuno ci diede retta" – 1 di 10". Milano.repubblica.it. Retrieved 2011-10-24. ↑ "All Eight Roy Grace Novels by Peter James Now Available in e-Book Format in the United States". Prweb.com. 31 January 2013. Retrieved 1 August 2013. ↑ Ebook timeline 3 January 2002. ↑ Alexis KIRKE (1995). "The Emuse: Symbiosis and the Principles of Hyperpoetry". Brink. Electronic Poetry Centre, University of Buffalo. ↑ Journal, Alec Klein Staff Reporter of The Wall Street. "A New Printing Technology Sets Off a High-Stakes Race". Wall Street Journal. ISSN 0099-9660. Retrieved 2015-12-02. ↑ eBooks: 1998 – The first ebook readers. Retrieved 5 February 2015. ↑ "Prime Palaver #6". Baen.com. 2002-04-15. Archived from the original on 2010-01-02. Retrieved 2010-01-28. ↑ De Abrew, Karl (April 24, 2000). "eBooks are Here to Stay". Adobe.com. Retrieved 2009-12-15. ↑ Pearson, David (2006). Bowman, J, ed. British Librarianship and Information Work 1991-2000: Rare book librarianship and historical bibliography. Aldershot: Ashgate Publishing Ltd. p. 178. ISBN 978-0-7546-4779-9. ↑ "Sony LIBRIe – The first ever E-ink e-book Reader". Mobile mag. 2004-03-25. Retrieved 21 March 2013. ↑ "Checks Out Library Books – News from". Google. 2004-12-14. Retrieved 2011-10-24. ↑ "Franklin sells interest in company, retires shares". Philadelphia Business Journal. 2005-03-31. Retrieved 2011-05-05. ↑ Samuelson, Pamela (July 2010). "Legally speaking: Should the Google Book settlement be approved?". Communications of the ACM. 53 (7): 32–34. doi:10.1145/1785414.1785429. ↑ "Update your PRS-500 Reader", Style, Sony, retrieved November 18, 2009 . ↑ "OPS 2.0 Elevated to Official IDPF Standard". IDPF. eBooklyn. Oct 15, 2007. ↑ Patel, Nilay (November 21, 2007). "Kindle Sells Out in 5.5 Hours". Engadget.com. Archived from the original on November 23, 2007. Retrieved November 21, 2007. ↑ Slattery, Brennon (November 10, 2009). "Kindle for PC Released, Color Kindle Coming Soon?". PC World. Archived from the original on October 28, 2010. Retrieved December 2, 2010. ↑ Kehe, Marjorie (January 6, 2010). "Kindle DX: Amazon takes on the world". The Christian Science Monitor. Archived from the original on January 10, 2010. Retrieved January 6, 2010. ↑ "Bookeen debuts Orizon touchscreen e-reader". Engadget. Retrieved 2011-10-24. ↑ "Apple Launches iPad 2 (Announcement)" (Press release). Apple. March 2, 2011. Retrieved May 21, 2011. ↑ Andrew Albanese (6 December 2010). "Google Launches Google eBooks, Formerly Google Editions". Publishers Weekly. ↑ Obaiduzzaman Khan (August 22, 2010). "Pocketbook e-reader with Android". thetechjournal.com. ↑ Rapaport, Lisa (2011-05-19). "Amazon.com Says Kindle E-Book Sales Surpass Printed Books for First Time". Bloomberg. Retrieved 2011-10-24. ↑ "The Simple Touch Reader". LJ Interactive 24th May 2011. ↑ "Bookeen launches a new e-book store". E-reader-info.com. 2011-08-01. Retrieved 2011-10-24. 1 2 Hughes, Evan. (2013-08-20) The Publishing Industry is Thriving. New Republic. Retrieved on 2013-10-09. ↑ "Kbuuk announces competition for self-published authors". Prnewswire.com. June 15, 2012. Retrieved 2012-08-15. ↑ Chloe Albanesius (January 19, 2012). "Apple Targets Educators Via iBooks 2, iBooks Author, iTunes U App". PCMag.com. ↑ Josh Lowensohn (January 19, 2012). "Apple unveils iBooks 2 for digital textbooks, self-pub app (live blog)". CNET. ↑ "Gigapedia: The greatest, largest and the best website for downloading eBooks". Retrieved 26 February 2012. ↑ Cooper, Charles. (2012-03-09) Go feds! E-books are way overpriced | Internet & Media – CNET News. News.cnet.com. Retrieved on 2012-04-12. ↑ Catan, Thomas; Trachtenberg, Jeffrey A. (March 9, 2012). "U.S. Warns Apple, Publishers". Wall Street Journal. Retrieved March 9, 2012. ↑ "IT Magazine about ereaders". Pocketbook-int.com. 2012-04-25. Retrieved 2012-09-16. ↑ "Test of ereaders in 2012". Pocketbook-int.com. 2012-06-20. Retrieved 2012-09-16. 1 2 Phil Wahba Reuters (June 25, 2013). "Barnes & Noble to stop making most of its own Nook tablets". NBC News. ↑ Eric Slivka (June 12, 2013). "Apple Claims 20% of U.S. E-Book Market, Double Previous Estimates". MacRumors. ↑ Carnoy, David (2013-04-15). "Kobo Unveils Aura HD: Porsche of eReaders". CNET. CBS Media. Retrieved 2014-05-24. ↑ Boesen, Steffen (2015-05-12). "Ung millionær vil skabe litterær spotify". Politiken. Retrieved 2015-05-12. ↑ Judge finds Apple guilty of fixing e-book prices (Updated). Retrieved 17 December 2014. ↑ Chaey, Christina (2013-09-05). "With Oyster, keep 100,000 books in your pocket for $10 a month". Fast Company. Retrieved 2013-12-10. ↑ "Google Books ruled legal in massive win for fair use". ↑ "Siding With Google, Judge Says Book Search Does Not Infringe Copyright", Claire Cain Miller and Julie Bosman, New York Times, November 14, 2013. Retrieved November 17, 2013. ↑ Metz, Cade. "Scribd Challenges Amazon and Apple With 'Netflix for Books'". Wired. Retrieved 2013-12-30. ↑ About Kindle Unlimited, Amazon . ↑ "Kobo crams 1.5 million pixels into its 6.8" Aura H2O e-reader". Ars Technica. Retrieved 2014-04-16. ↑ "Apple faces certified class action suit over e-book price conspiracy". Ars. Retrieved 2014-06-17. ↑ "Apple settles ebook antitrust case, set to pay millions in damages". ZDNet. Retrieved 2014-06-17. ↑ Apple Loses Appeal in eBook Antitrust Case, retrieved 30 June 2015 . ↑ New Bookerly Font and Typography Features, Amazon . ↑ migration (2015-09-30). "Pinjam e-buku di KLIA, Berita Dunia - BeritaHarian.sg". BeritaHarian. Retrieved 2016-04-27. ↑ Amazon Kindle Voyage review: Amazon's best e-reader yet, CNet, retrieved Feb 24, 2015 . ↑ Nook Glowlight Plus Now Available – Waterproof, Dust-Proof, 300ppi Screen, and only $129. Retrieved 21 October 2015. ↑ "Google book-scanning project legal, says U.S. appeals court". Reuters. ↑ Playster audiobook and e-book subscription debuts in the US. Retrieved 11 January 2015. ↑ Kobo Aura One Leaks, Has a 300 PPI 7.8″ E-ink Screen for 229 Euros The Digital Reader, Retrieved 15 August 2016. ↑ McCracken, Jeffrey (2011-03-23). "Barnes & Noble Said to Be Likely to End Search Without Buyer". Bloomberg. Retrieved 2011-10-24. 1 2 Suleman, Khidr (September 20, 2010). "Sony Reader Touch and Amazon Kindle 3 go head-to-head". The Inquirer. Retrieved January 27, 2012. ↑ "Beyond Ebooks". Retrieved 12 June 2011. ↑ Patel, Nilay (January 27, 2010). "The Apple iPad: starting at $499". Engadget. Retrieved January 27, 2010. ↑ Covert, Adrian. "Kobo Touch E-Reader: You'll Want to Love It, But ...". Gizmodo.com. Retrieved 17 June 2011. ↑ "Kobo eReader Touch Specs". Retrieved 29 June 2011. ↑ Kozlowski, Michael. "Hands on review of the Pocketbook PRO 902 9.7 inch e-Reader". goodereader.com. Retrieved 3 January 2011. ↑ "PocketBook Touch Specs". Retrieved 15 May 2012. ↑ Pogue, David (2009-07-17). "Case where Amazon remotely deleted titles from purchasers' devices". Pogue.blogs.nytimes.com. Retrieved 2011-10-24. ↑ "Tor/Forge Plans DRM-Free e-Books By July". Publishers Weekly. 24 April 2012. Retrieved 24 April 2012. ↑ "Best Sellers. E-BOOK FICTION". The New York Times. Retrieved 25 February 2015. ↑ "Best Sellers. E-BOOK NONFICTION". The New York Times. Retrieved 25 February 2015. ↑ Ebooks can tell which novels you didn't finish The Guardian. 10 December 2014. ↑ What are the most looked up words on the Kindle? Retrieved October 22, 2015. ↑ Goleman, Daniel (2010-04-04). "How Green Is My iPad". The New York Times. Retrieved 2011-10-24. ↑ Greenfield, Jeremy (January 9, 2013). "Tracking the Price of Ebooks: Average Price of Ebook Best-Sellers in a Two-Month Tailspin". Digital Book World. Retrieved 24 February 2015. ↑ Finder, Alan (August 15, 2012). "The Joys and Hazards of Self-Publishing on the Web". The New York Times. Retrieved 24 February 2015. Digital publishing and print on demand have significantly reduced the cost of producing a book. ↑ "Project Gutenberg". Project Gutenberg. Retrieved 24 February 2015. ↑ Copyright Term and the Public Domain in the United States. Retrieved 26 February 2015. ↑ "Sync Across Kindle Devices & Apps". Amazon.com. Retrieved 25 February 2015. ↑ The Fifty Shades of Grey Paradox. Slate. Feb 13, 2015. ↑ Catone, Josh (January 16, 2013). "Why Printed Books Will Never Die". Mashable. Retrieved 24 February 2015. ↑ Ballatore, Andrea; Natale, Simone (2015-05-18). "E-readers and the death of the book: Or, new media and the myth of the disappearing medium". New Media & Society: 1461444815586984. doi:10.1177/1461444815586984. ISSN 1461-4448. ↑ People are Not Reading the e-Books they Buy Anymore September 20, 2015. Retrieved October 22, 2015. ↑ Queenan, Joe (2012). One for the Books. Viking Adult. ISBN 9780670025824. ↑ "Adding up the invisible ebook market – analysis of Author Earnings January 2015". Publishing Technology. February 9, 2015. Retrieved 24 February 2015. ↑ Amazon Has an Even Bigger Share of the eBook Market Than We Thought – Author Earnings Report 9 October 2015. ↑ Barbour, Mary Beth (2012-04-19). "Latest Wave of Ipsos Study Reveals Mobile Device Brands Canadian Consumers are Considering in 2012". Ipsos Reid. Retrieved 2012-06-04. ↑ Rüdiger, W.; Carrenho, C. (2013). Global eBook: Current Conditions & Future Projections. London. Retrieved 24 February 2015. ↑ Campbell, Lisa (June 8, 2015). "E-book market share down slightly in 2015". Retrieved 2 November 2015.